Does anybody have any experience with the fantasy perfumes trend on Etsy? There are a wide range but how do these stack up to more well known name brand perfumes? Why not order one and give it a try? Yeah I have Robin Hood on the way, was just wondering if anybody else has had any experience with any of these? I forget which seller it was, that I tried one of her concoctions, many years ago. It was very pretty. Used it all up. Looking forward to what you have to say about it. The notes sound wonderful! Reminds me of a beard oil I use from Caveman. I haven't had such great experiences with homemade fragrances from sellers on Ebay. I've tried clones of Spice and Wood, Aventus, Polo Double Black and a few others I can't think of, from various different sellers. I have never tried a "fantasy fragrance" though, or, to say.. someone's own creation I presume. I'm guessing it will smell generic, but strong. Would've liked to have known how this scent turned out for the OP. 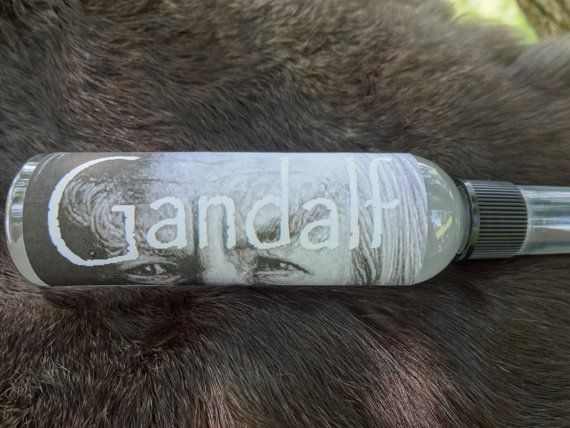 A friend of mine's cousin makes some of these and sells them on Etsy her Lord of The Rings collection is pretty nice the only problem is longevity I bought the Gandalf a while back and I LOVE the scent but it is rather fleeting. My friend says the oil lasts much longer and I might get some of that to try. I've tried several different kinds, only oils. Some of them are quite good, if simple and a bit crude. But they're fun. Alkemia, Deconstructing Eden, For Strange Women, are a few I'm familiar with. Not sure if these qualify as fantasy perfumes or not, but probably the same difference. I'm not familiar with Deconstructing Eden - will have to investigate. I guess she's moved from Etsy to her own website now. A couple look interesting. I've been looking for a new cherry frag so Cherry Bomb looks good. Also, I Am Stretched On Your Grave looks like one I'd like. Thank you for providing the link, I find the themes inspiring (a line dedicated to Type O Negative? A line for literature characters? Count me in! ), this should be fun to try some day. But there's one thing (okay, three things) I fail to find any information about - where they are located, and if it's US, do they ship to Europe and how expensive the shipping is. She's in Kansas, if I recall correctly. Might try the contact link for prices about shipping and if it's available to Europe. Thank you for the information and the tip! Opening on Etsy soon: some help please? Do you buy handmade like Etsy stuff?